Construction of sports facilities must be done to high standard that will fulfil the criteria set by bodies such as LTA, ITF and SAPCA. 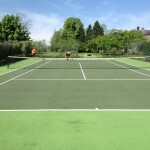 UK tennis court construction designs and specifications vary depending on the budget and requirements of the institution that wants the facility installed, this allows a lot of flexibility for the client in designing a perfect surface for themselves and the players who will be using the facility. 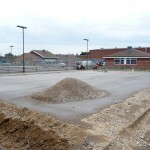 Our team can complete this work at many locations including schools, sports clubs, leisure centres and domestic gardens. Please feel free to speak to us if you’d like to enquire about building a tennis facility. Just use the quick contact box to send over your details and we’ll get back to you as soon as we can. 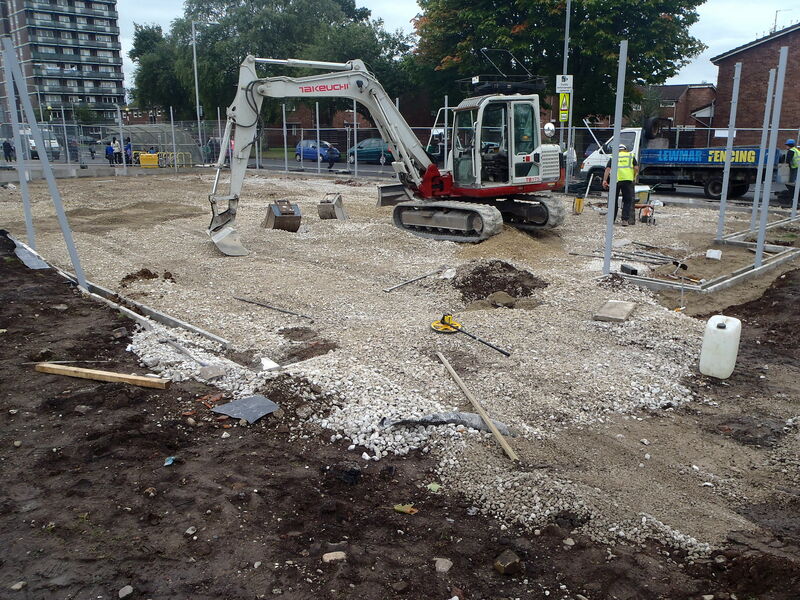 The tennis court construction process starts off with groundworks so we need to know if there is an existing sub base or whether or not we need to install one. 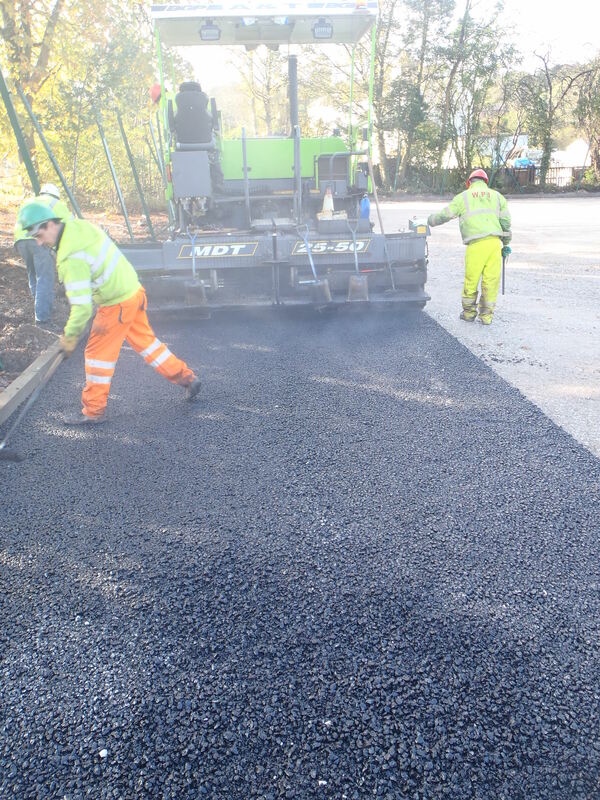 For most sports surfaces that we install, the sub base will begin with a layer of porous stones which are compacted together to form a solid base. We use angular stones which fit together easily to ensure stability as well as porosity due to the gaps between the stones. 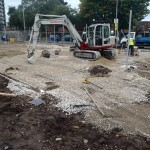 Macadam will then be laid on top of these compacted stones to create a smooth and seamless surface. 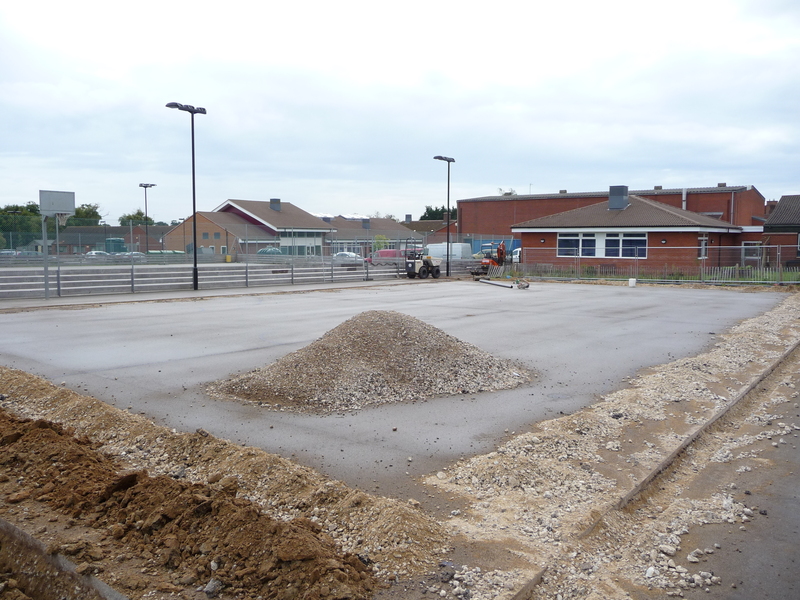 If the court is going to stay as a macadam sports facility, a simple spray coating will then be added and the construction is complete. However for other surface specifications, the tarmac acts as a solid and porous base. All of these surfaces are porous allowing for water drainage so they are suitable for all weather usage, giving the sports court usability all year round; this is a great quality to have for schools. After the surface has been laid down we can carry out the colour coating and professional line marking. 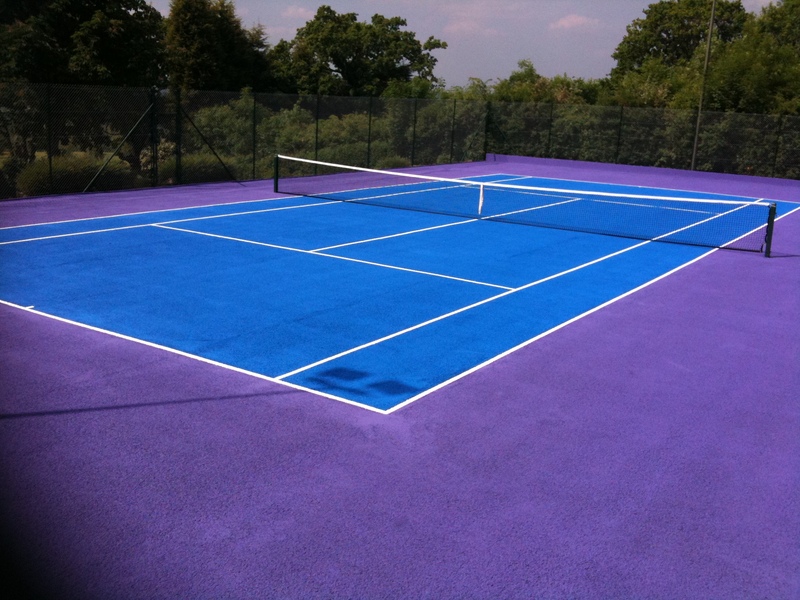 The paint being used for UK tennis court construction is polyurethane or acrylic based paint that has an aggregate within it that allows for the players to have more grip and traction giving it anti slip properties. This specially designed paint helps to maintain the performance qualities on the surface, as well as keeping it safe for players and reducing the risk of injuries. The price for building these facilities can vary dramatically depending on the design and specifications of the sports facility in question. The main variable for the price is the size and dimensions, as well as the surface type you choose. For a professional quality court they have to be within the specific size measurement for tennis courts, the dimensions of the area being 23.77m x 10.97m with the lines being a total of 50mm width ways. Whereas if you are using the court for recreational uses, the court can be a smaller size meaning that it’s easier to fit within your budget. In many cases, schools might choose to have the facility built with smaller dimensions to fit into existing space. This is because the area probably won’t be used for professional competitions but just for PE lessons and after school activities. Commercial clubs are more likely to have the full sized installation as these surfaces will be used to a higher standard of play. Part of the construction process includes applying specialist paint and line markings to the surface which allow accurate scoring in competitive matches. The video below shows the process of applying an acrylic non slip coating to an existing macadam surface. 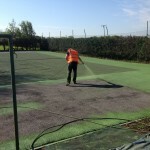 Prior to the application of a new sports court paint coating it is vital to thoroughly clean the existing surface to ensure that any dirt, debris or leaves are lifted away from the court. This will help the paint to stick correctly onto the court surface itself, giving the paint an even finish which will be long lasting. 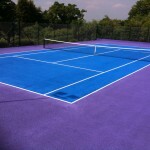 For this particular project, the client chose to have the main playing area painted in purple with white line markings and the surrounding runoff in green. 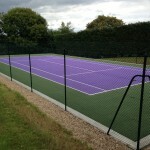 Our specialist tennis court builders can offer many services which are tailored to your needs and budget. As well as construction of these facilities, we can also carry out aftercare of the flooring to keep it in top condition. Ongoing cleaning and maintenance plans are available, and even though they will add additional costs to the price it’ll be an investment in the long term. 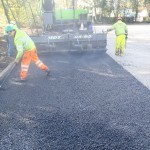 This is because it will stop repairs from being needed or even resurfacing that can prove to be very costly for your organisation. We would advise having a regular cleaning and maintenance plan in place once the facility has been installed. This work can consist of jet washing, brushing and reapplying anti slip paint to ensure a safe and durable playing surface. 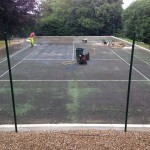 Please get in touch with us via our contact form if you’d like to discuss a tennis court construction project in more detail, and if you need a quote to carry out installation works at your organisation. You can just fill in the contact form on this page with your details and tell us what you need so we can offer our professional advice.